PLANO, Texas, June 11, 2008 – Advanced ICU Care, a telemedicine intensivist service provider, adopts NeoIntegrate™ as their solution to enhance patient care and communication among collaborating hospitals. Advanced ICU Care is one of forty nationwide eICU®s to offer highly trained intensivists (physicians who care for critically ill patients in the ICU), as a less costly and more dedicated solution to traditionally staffed intensive care units. Like other forms of telemedicine, the eICU concept provides high quality patient care through physicians who are not physically located on the hospital premises. Comprehensive interfaces with the hospital and specific ICU systems allow the physician to view patient information on a real time basis. 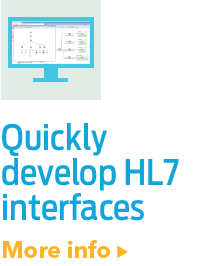 Implementing NeoIntegrate, an advanced interface engine from NeoTool, enabled Advanced ICU Care to move beyond point-to-point connections which currently do not allow for analyzing and filtering specific HL7HL7 is a Standards Developing Organization accredited by the American National Standards Institute (ANSI) to author consensus-based standards representing a board view from healthcare system stakeholders. 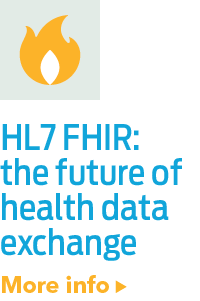 HL7 has compiled a collection of message form... messages sent remotely from a hospital ICU. “NeoTool was recommended by several of our current clients. We evaluated the solution and compared it to competitive offerings. We determined NeoIntegrate to be a more robust and cost-effective approach while simplifying the writing of complex interfaces,” said Mikhail Averbukh, Director of IT, Advanced ICU Care. “Advanced ICU Care’s goal is to continually add more value to our client hospitals through our ability to implement additional interfaces between their environment and our core application. NeoIntegrate allows us to radically improve the turnaround time for implementation and reduce the resource requirements for our clients,” acknowledged Averbukh. “Advanced ICU Care’s innovative telemedicine offering provides a glimpse of what creative professionals are doing to improve patient care while controlling cost. NeoTool is pleased our technology was selected and are excited about our role in helping Advanced ICU Care meet their complex customer requirements in a simple, timely manner. We are confident their team will continue to realize tangible benefits through their use of NeoIntegrate,” said Phil Guy, CEO at NeoTool. 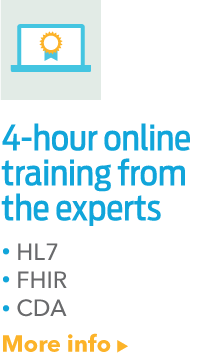 For current healthcare interfacing insights, please visit the NeoTool HL7 & Healthcare IT Blog. Headquartered in St. Louis, Missouri Advanced ICU Care, www.icumedicine.com, offers specialized remote intensive care to hospitals throughout the nation. Utilizing a staff of highly trained intensivists, physicians specially trained to care for critically ill patients, Advanced ICU Care is on the cutting edge of medicine involving critically ill patients. eICU® is a registered trademark of Visicu, Inc.